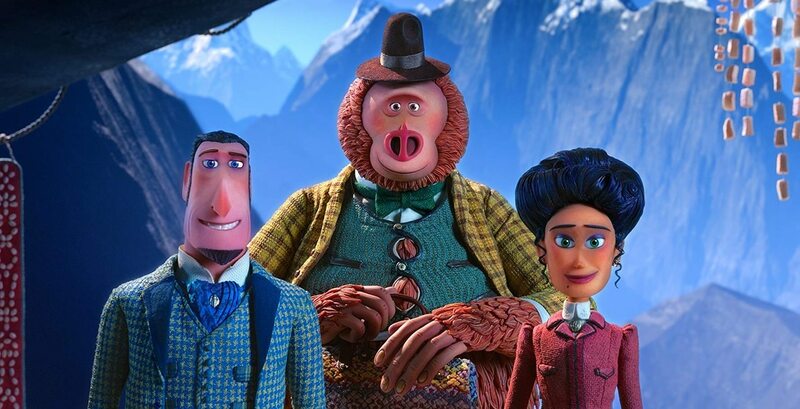 "Missing Link" is about a very dapper yeti trying to find his family. After months of speculation, Laika has finally offered the first peek at their next movie. And no, it's not an adaptation of Colin Meloy's novel as rumored—it's about a kindly Sasquatch transversing the globe to find his long-lost family. The Hillsboro studio recently released the first trailer for the Missing Link, which will be released next year. In the stop-motion animation studio's fifth film, Zach Galifianakis voices Mr. Link, a legendary Pacific Northwest creature that looks like a very dapper yeti. Zoe Saldana and Hugh Jackman voice human explorers who discover Link. In 2011, Laika optioned the rights to Meloy's Wildwood, which seemed to imply that the studio would adapt the Decemberists frontman's novel. Laika may have gone in a different direction, but the movie is sure to be another heartwarming tale of unlikely friendships and triumphant underdogs. Starting with 2009's Coraline, all of Laika's previous films have been nominated for Academy Awards. Missing Link was directed by Chris Butler, who also directed Laika's ParaNorman and wrote Kubo and the Two Strings. It's due in theaters April 12, 2019.